Roots & Rhythm: Snoop Dogg f. Stevie Wonder and Pharrell Williams - "California Roll"
In my house, we listen to music the way most people watch television. SWAN is constantly playing new music and I can tell when something is really good. After a few weeks, I find myself singing the songs or seeking them out on Spotify. It is obvious when something new has been filed into my musical memory. That is exactly what happened when he introduced me to BUSH, the latest from Snoop Dogg produced by Pharrell. SWAN calls the sound "disco funk", in which Pharrell gave Snoop track after track that worked well with his flow. One of the things I love most about the project is the number of classic artists that appear on the album. You get energy from T.I., Kenrick Lamar, Stevie Wonder, Gwen Stefani, Rick Ross, Justin Timberlake and of course, Uncle Charlie Wilson. Everyone plays their part well to create Snoop's 13th album. 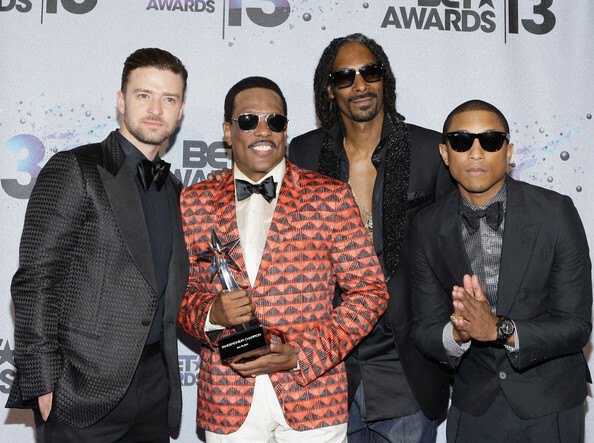 Jusin Timberlake, Charlie Wilson, Snoop Dogg and Pharrell Williams at the BET Awards. Roots & Rhythm: Jay Z featuring Pharrell - "Excuse Me Miss"
This week we continue our look at some of Pharrell's best work by taking a look at his producer/feature role. 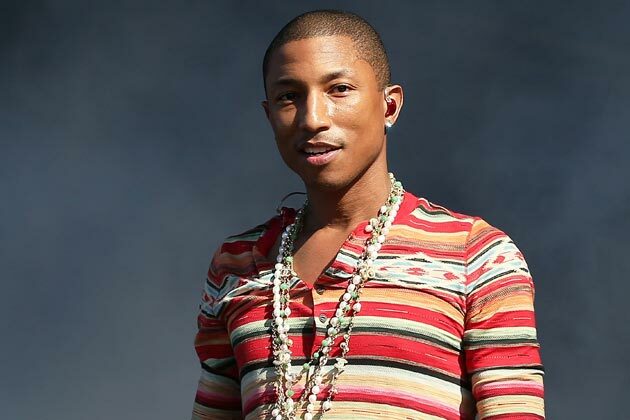 Pharrell is one of few who work well on both sides of the microphone. He can always deliver vocals that work well with the sound he's created. 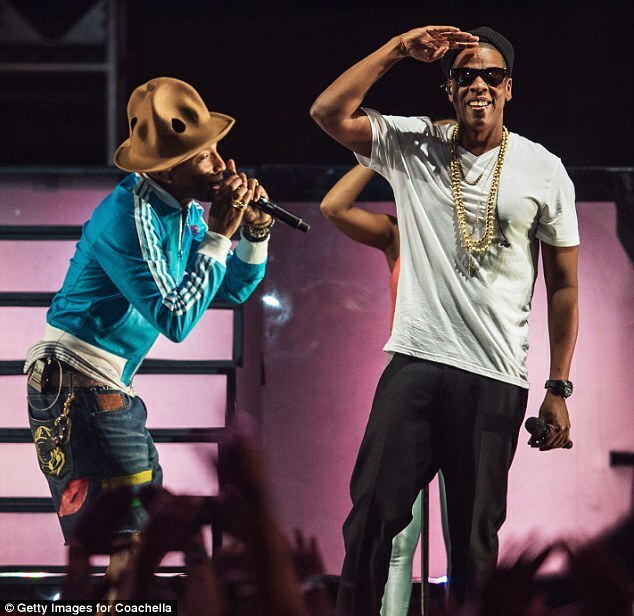 Pharrell and Jay Z perform at Coachella. There are times when an artist and producer work so well together, you expect nothing be good things from them. For me, Pharrell has that connection with Jay Z when he is in his producer role. Jay Z inspires many producers in this way, but his work with Pharrell are some of our favorites here at Natural in Nashville. I shared my love for Naomi Campbell and "Change Clothes" by Jay Z last year and it is still one of our favorites flashbacks. Another favorite from Jay Z and Pharrell would definitely have to be "So Ambitious". While I can't say I agree with all of the lyrics, I do understand completely the point Jay Z is making with each verse. I'm sure we can all relate if we move past any offensive lyrics. 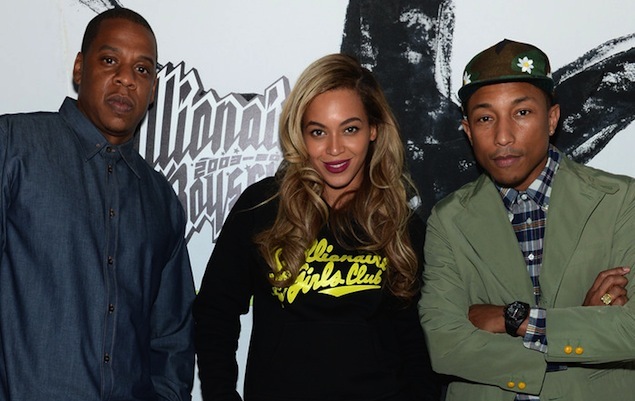 Jay Z, Beyonce and Pharrell via xxlmag.com. From "Excuse Me Miss" to Mrs. Carter. However, I think one of the most memorable collaborations between the two will always be "Excuse Me Miss". For many, it was the first time they say Jay Z in a different, more mature light. I'm actually a fan of the video solely because of the elevator scene. I think it is a beautiful representation of "love at first sight" from an artistic standpoint. And that dress! Featuring the work of Pharrell is a bit of a different vibe, but that also speaks to the point. While I haven't found very many natural styles to point out, I appreciate Pharrell's authenticity. From Skateboard P to music and movie producer, being true to himself is the fuel for his success. It is definitely a lesson we can all be reminded of from time to time. Roots & Rhythm: Puff Daddy and The Family featuring Pharrell - "Finna Get Loose"
For the most part, it seems as if Pharrell can do no wrong. He refuses to age, he is still producing hot music and now he has moved to producing movies as well. Being comfortable on both sides of the microphone definitely works to his advantage and his creativity and authenticity should translate to the big screen well. Pharrell is one of those producers that will catch you off guard. You'll fall in love with a song only to find out later that he had his hand in it. With that said, he has still managed to develop his own unique sound, The Neptunes Sound, that is easily recognized in some of his work. 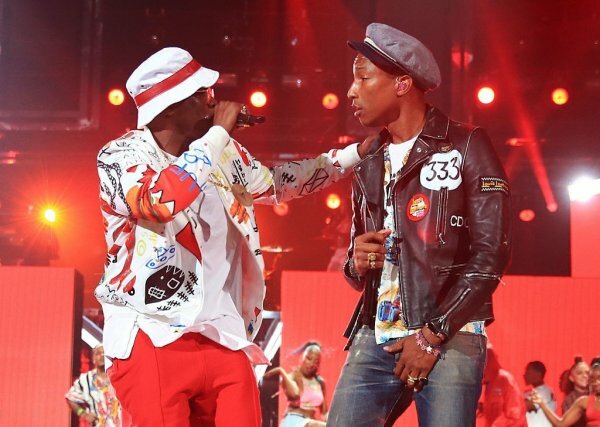 Puffy + Pharrell performing at the 2015 BET Awards via neptunes.org. With Pharrell's track record it is no wonder Puffy called on him when he was ready to reintroduce Puff Daddy and The Family. Celebrating 20 years of Bad Boy Records, Puffy has vowed to make everyone dance again. Although his 2015 BET performance will always be known for "the fall", Puffy also produced a show that reminds you exactly why Bad Boy is still around. From Mase to 112, Lil' Kim and Faith, this show was everything we loved about the 90s. It was evident in the crowd as you saw artists, athletes and actors all dancing and singing along to songs we all know and love. Sitting aside the fall, watch the performance again (or for the first time, like me) and remember why you love the 90s. The end of the show featured "Finna Get Loose" featuring Pharrell. How did they do? Does this track make you want to dance? You can listen the the audio here. Please note there are explicit lyrics. You can also see the trailer for DOPE, where Pharrell Williams serves as executive producer here. For more dance videos check out #FinnaGetLoose on your favorite social media site. Pharrell with the cast of DOPE featured in Billboard Magazine. ROOTS & RHYTHM: Donna Summer - "Love to Love You"
If you vibe with me on Friday, you probably know that I love to take a trip back to the 70s and 80s from time to time. The Original Bad Girl, Donna Summer. I think that time period influenced style, art and music in a way that is still evident today. One of my favorites to check out is Donna Summer. A beautiful person with a beautiful voice, Donna Summers always seems to bring just enough extra to make you love her. Summer is coming and Music City will come alive. Concert series are on their way, the Bonnaroo line up has been announced and our favorite local artists are tuning up to bring us their best. Kiya Lacey is one local artist I hope to see soon. 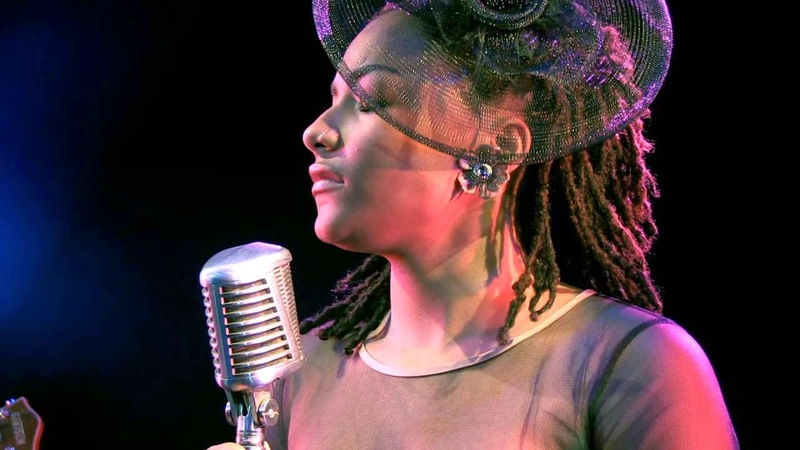 At 19, her voice has elements of jazz, R&B, and hip hop that can remind you of a time before she was even born. As a singer/songwriter, Kiya delivers love and joy in the same way she delivers the harsh realities of society: with passion and depth. 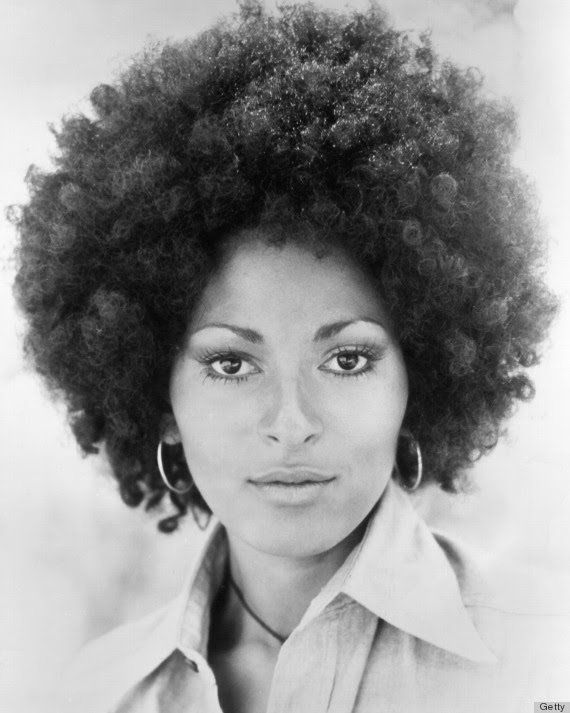 ROOTS & RHYTHM: Chaka Khan - "I'm Every Woman"
One thing I have come to realize that embracing natural hair really is a movement. It is a return. In the Akan language the word "Sankofa" means "to go back and get it", which is what many of us have chosen to do. While the concept and care for our natural hair texture is new to us, we have quickly built our knowledge base through our online communities. Each time the public challenges a celebrity's status as a "role model", I think of my own. When I look at people that had a fashion sense I admired as a child and teen, they seemed a bit closer to home. Lady M: My Grandmother captured by me. 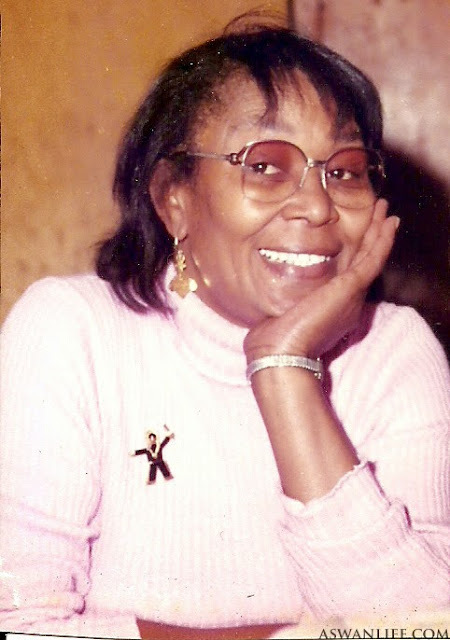 My Grandmother was my biggest fashion influence. She was my shopping partner and I learned that there could be a simple elegance to dressing. Looking back, I saw the difference between shopping and building a wardrobe. She always went for classic. It lasts. I will also include my Mother, Auntie Diane and cousin Teri Lynn with her. I think they all got the same lesson. 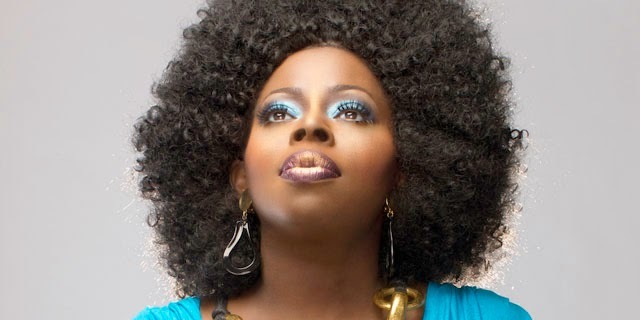 ROOTS & RHYTHM: Angie Stone - "Brotha"
What started out as admiration for Angie Stone's ability to carry an afro with grace and ease quickly returned to my appreciation for her work. When Mahogany Soul first dropped, I was impressed with "I Don't Miss You Anymore" because of her use of the sample from the O'Jay's. She made it her own in a way that allowed me to enjoy both songs. That doesn't happen often for me. ROOTS & RHYTHM: Janelle Monae - "Yoga"
Last week when we checked out "Classic Man" from Jidenna, I knew Janelle Monae was bringing a new single, but I had no idea it would drop so fast! There was a collective "Yessssssssss!" from yogis across the world earlier this week when "Yoga" started making its way across the internet. As a Kemetic Yoga™ instructor and practitioner, I definitely appreciate Janelle Monae putting the spotlight on yoga. While there is the thought that yoga has become commercial and could potentially loose its true essence, I often wonder who those people practice with. The Queen of Cool, Janelle Monae, is back and she's brought some friends along for the ride. Monae is rebooting her label Wondaland and our first taste is from Jidenna, a Nigerian-American artist whose look lives up to the single title: "Classic Man". Sporting a pompadour and a suited to match, Jidenna's look is culturally classic. 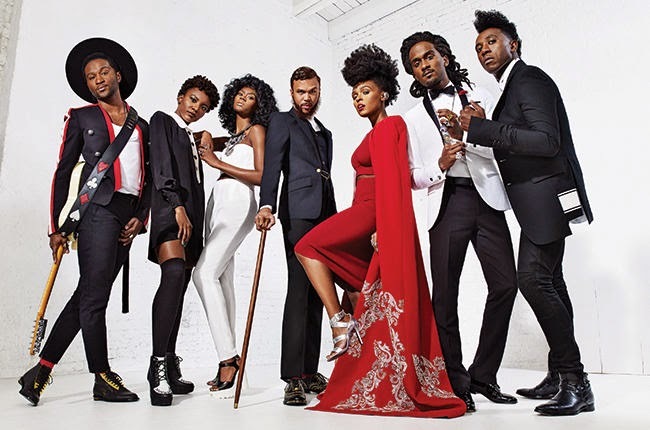 Roman GianArthur, Alex Belle and Isis Valentino (St. Beauty), Jidenna, Janelle Monae, Nate Wonder and Chuck Lightening of Deep Cotton. ROOTS & RHYTHM: Jill Scott - "You Don't Know"
Miss Jill Scott gave us a new music video this week and it is perfect for a rainy Friday morning. Jill reached down deep for this one from the beginning. Her vibe and the music on "You Don't Know" is truly a soulful moment. She went into that space where Aretha lives. And she brought the look to match. From the drink to the hair and make up, Jill is delivers her new single as only she can. Part songstress, part actress, but still somehow all Jill, this video feels part of a larger story. 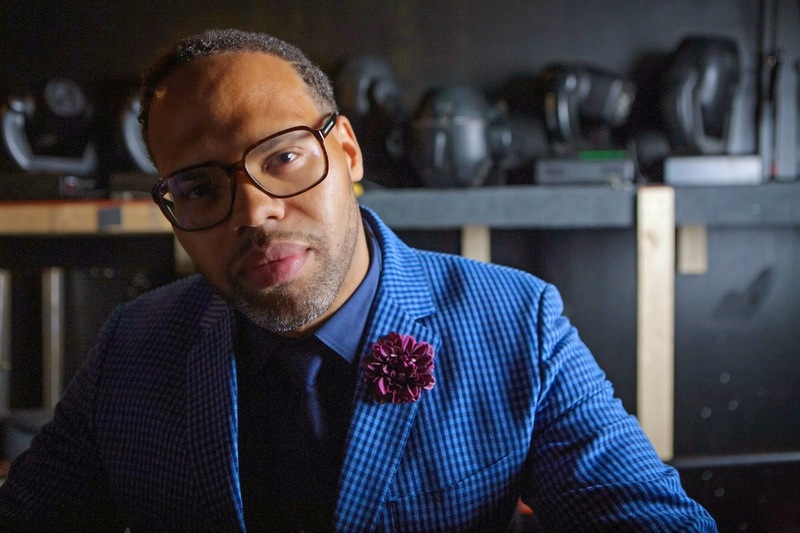 ROOTS & RHYTHM: Eric Roberson - "I'm Not Trying To Keep Score No More"
There's more snow on the ground, which means another mental getaway is in order. Eric Roberson takes us to the beach this week with "I'm Not Trying To Keep Score No More" from The Box. And the video is like the Super Bowl of Soul. Eric Robeson with the classic side part. ROOTS & RHYTHM: Lauryn Hill - "Everything is Everything"
This week's rhythm is tuned to the vibe of Ms. Zendaya Coleman. 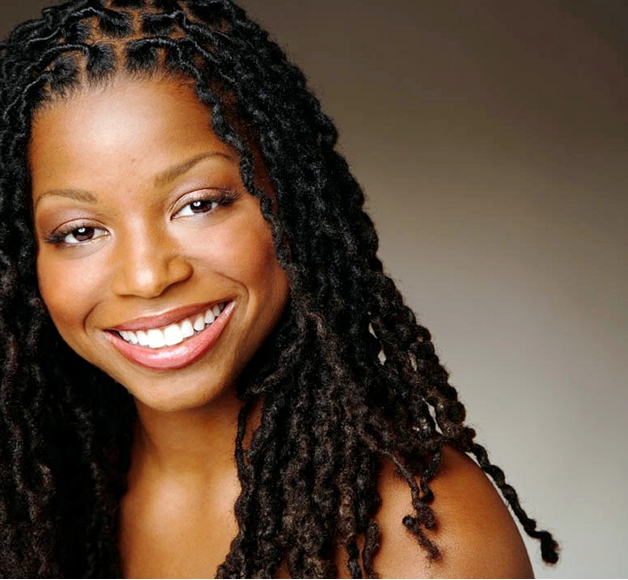 Let's show some love for beautiful locs! Loc Love: Adding texture for the win. She handled a situation many deal with often in a graceful, well-thought out manner. In front of the world. Bravo. 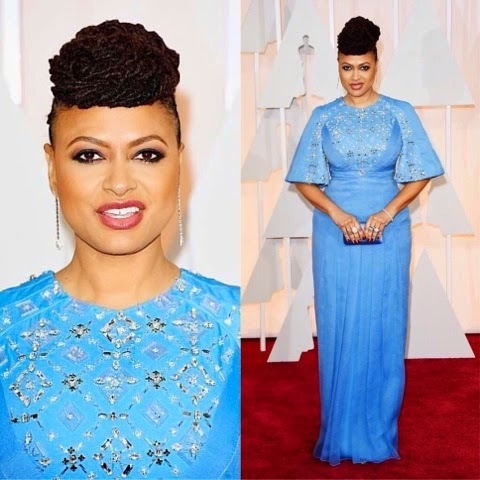 Oscar nominated Director, Ava Duvernay rocked her real locs in the regal updo. With all the talk about Zendaya's locs on the Oscar Red Carpet, I thought you'd like to see some of the other natural hair celebs who rocked their hair on the carpet. 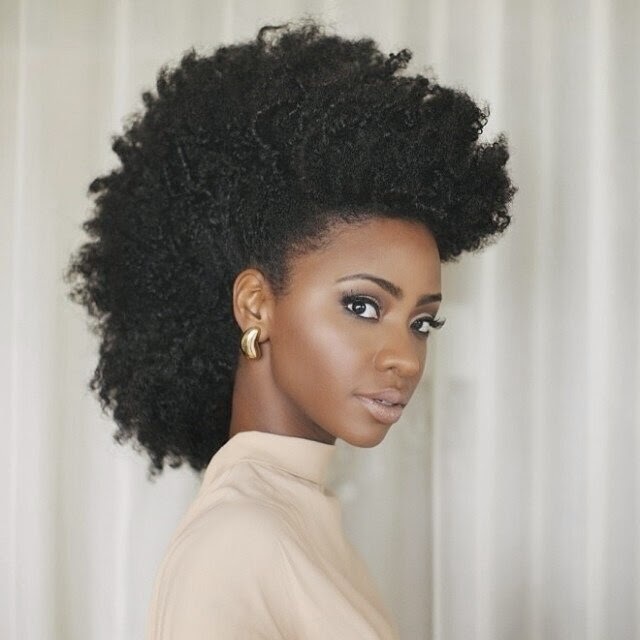 It's so refreshing to see women of color embrace the natural texture of their hair. For so long we've been asked to tock fake hair to 'fit in'. Although there's nothing worng with weave (y'all know I love me some weave), seeing the variety of texture is different and good. Keep up the good looks ladies! ROOTS & RHYTHM: Lenny Kravtiz - "I Belong To You"
It is always nice when some artists make their way back into your playlist to remind you why you love them. When Lenny Kravitz shared this video of his impromptu session with a high school band, it triggered musical memories of all the good music he's created. When I first heard, "It Ain't Over Till Its Over", I knew I would always be a fan of his work. He's proven me right. I also remember the initial "shock" when he cut his locs. 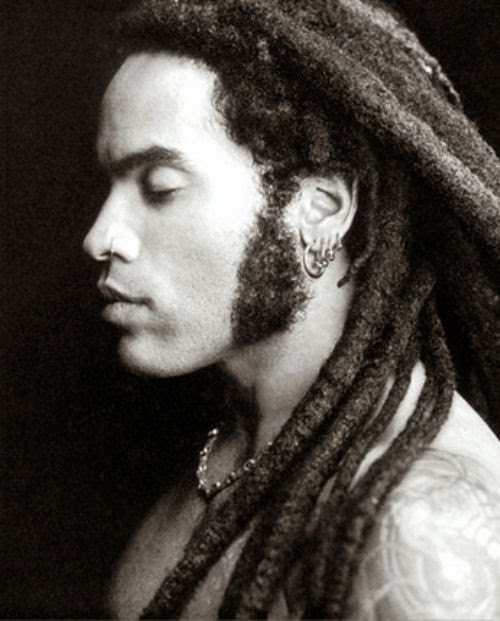 Although I've come to appreciate this version of him, he had a pretty nice phase with his locs. I like them more now than I did then. I guess I can understand and respect the process more at this point. ROOTS & RHYTHM: Erykah Badu - "Cleva"
A simple, yet real truth. The easiest way to begin with self-love. When we take the time to offer ourselves the love that we wish to experience, it will attract more like it in every area of our life. When I decided to cut my locs off to restart them, I did so with a desire to "get to know" my hair texture. I didn't need to cut anything to figure that out. By slowing down the maintenance process, I've allowed enough new growth to become quite familiar. 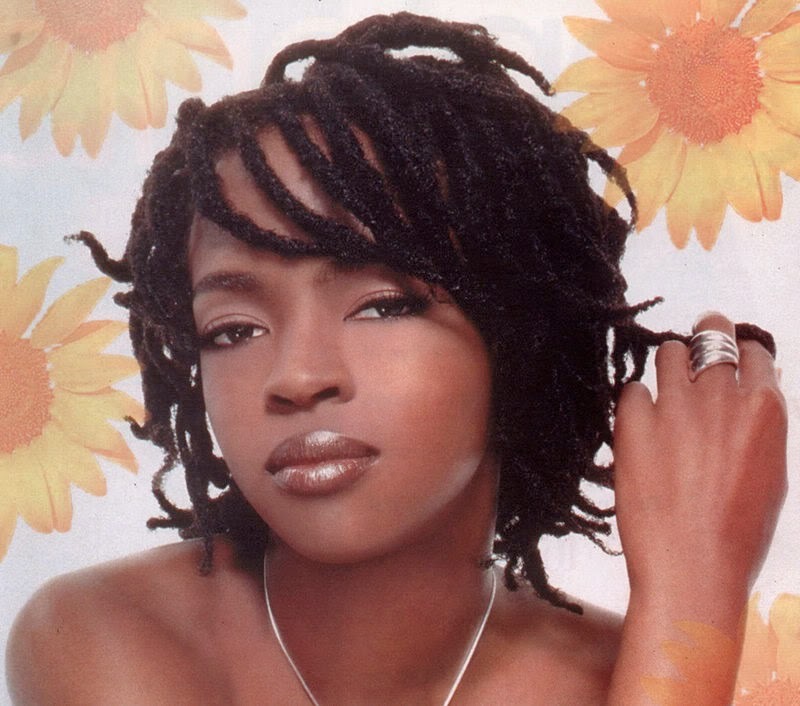 Loc Goals: Lauryn's locs were always lovely. I realized the real conversation around starting my locs should have been about texture and not about the size I wanted them to be. I wanted to create locs that I could easily style, so their size was my biggest concern. When I think of the maintenance they required over the years, I can see how my hair should have started out clearly now to achieve the same goal. This week, the ultimate 90s baby turned 21 and celebrated with a nod to the decade that made him and his parents. Sean "Diddy" Combs and Misa Hylton celebrated their son Justin's 21st birthday with one of the most appropriate birthday themes ever: a 90s Party. Even if you disagree with Misa that she made the the 90s, she most certainly brought her share of fabric and thread to the table. With clients like Mary J. Blige, Lil Kim, Lisa Raye, Missy Elliot, Queen Latifah and Diddy (probably known as "Puffy" at the time) her fashion sense inevitably inspired of all at some point. 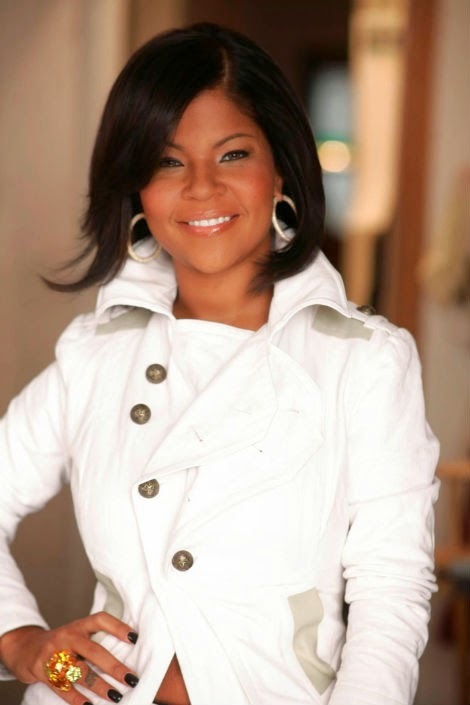 More recently, Misa has moved into the role of teacher, mentor and life coach through Misa Hylton Fashion Academy, continuing her influence on fashion and styling. 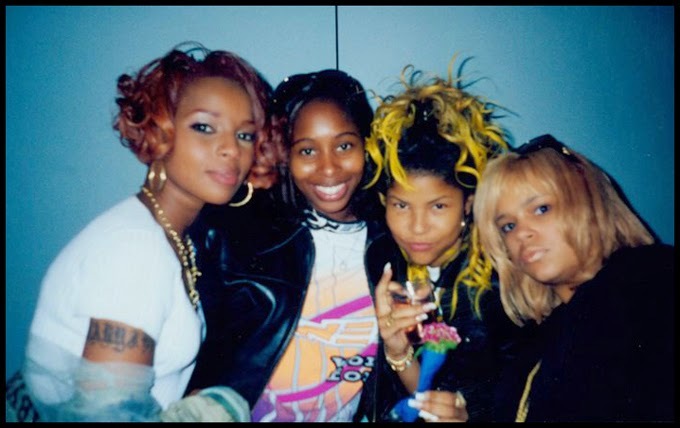 Mary J. Blige, LaTonya Blige, Misa Hynton, and Faith Evans. Original 90s flavor. Music videos seemed to come alive in the 90s through producers like Hype Williams and stylists like Misa. The shift in the culture of music that began in the 80s with the birth of rap and a conscious artistic culture was fully realized in the 90s. While many feel the conscious energy of the music has shifted, those who were the catalysts of 80s culture also realized that their craft and a luxurious lifestyle could go hand in hand. And here we are today, watching the grandchildren of that movement reach 21 and continue the legacy of their parents and grandparents before them. The 1990s version of Lil Kim. Things were a bit simpler for all of us then. While it is a controversial topic for many, most would agree with the thought that our gifts make room for us. And many artists from this era used their magnetic personalities, personal style and creative energies to secure the legacy of their children. Here's one of my favorites from two women who ruled the 90s. Both of them shared a freedom that helped to revealed the many facets of womanhood to me during some of my most formative years. What are your favorite moments from the 90s? The 90s version of Mary J. Blige. Classic Mary in combat boots with the face to match. 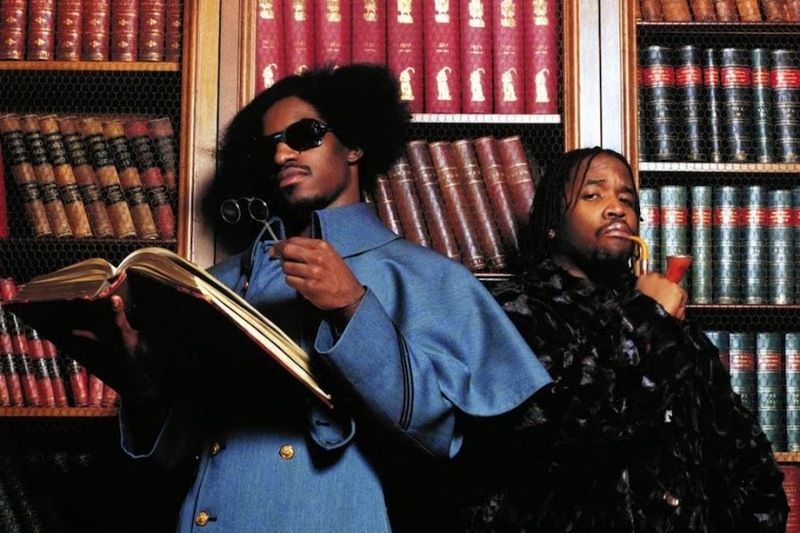 ROOTS & RHYTHM: Outkast - "So Fresh, So Clean"
The music has flowed between Parliament and Outkast in my house for the past few weeks. 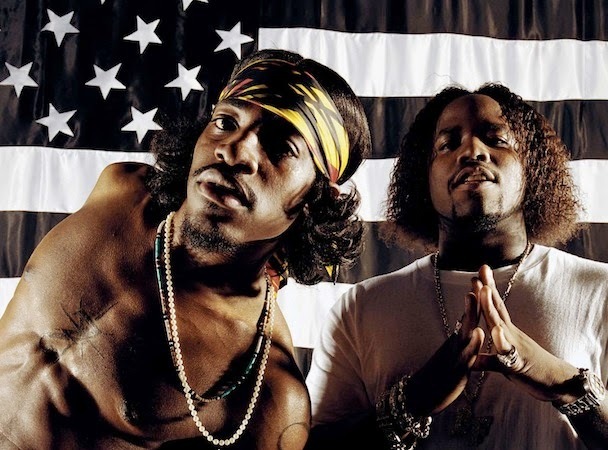 We love Parliament and it is easy to see that Outkast loves them too. The influence of Parliament is evident in all of their music and much of the imagery they've used over the years. Andre and Big Boi rocking fros and presses in 2000. Today's playlist included "So Fresh, So Clean" and it seemed perfect for the first Friday of 2015. The futuristic energy that Parliament gave is front and center in this video. The afros, clothes and Big Boi's classic press all say Fall 1974. And I love the hair salon to church transition. If you're searching for "So Fresh, So Clean", that is where you look. "So Fresh, So Clean", Outkast. 2000. On a more serious note, I do believe that is the key to a happy and prosperous new year is to treat each new day with the same respect and reverence. Finding a small way to celebrate each day with the same excitement we celebrate each year is a great way to maintain the energy of the new year. "Ain't nobody dope as me, I'm just so fresh, so clean". Roots & Rhythm: Stevie Wonder - "Loves In Need Of Love Today"
There are times when I know exactly what I want to say here and then there are some times when the song that I choose is so strong, words just get in the way. This is one of those songs. To me, Stevie speaks beautifully to what this time of year exemplifies. It is something we should strive for each day. As we move into the fullness of the season, I extend heartfelt love and gratitude for the continued support that you show for Natural In Nashville. Enjoy your time with family and friends. If you have a break from work or your professional life, completely indulge in the freedom. Don't forget to do something just for you. Self-care is the beginning of all happiness. Sometimes self-care can create huge sweeping changes or it can be as subtle trying a new way of wearing your hair, a new accessory or adding a new color to your wardrobe. In some way, take a moment to offer yourself love and gratitude. If you need some holiday hair inspiration, check us out on Pinterest and Tumblr. Our hair lust is real there. 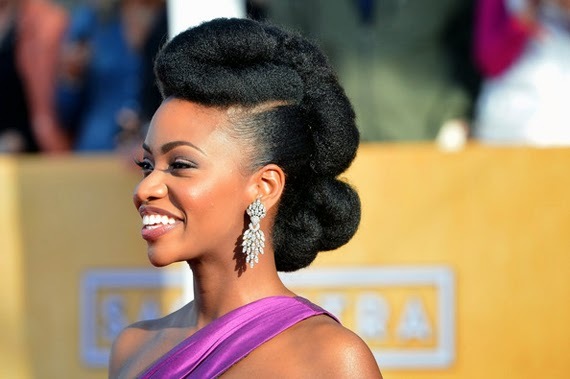 One of the most magical natural hair combinations I've seen is the work Felicia Leatherwood does for Teyonah Parris. Amazing. 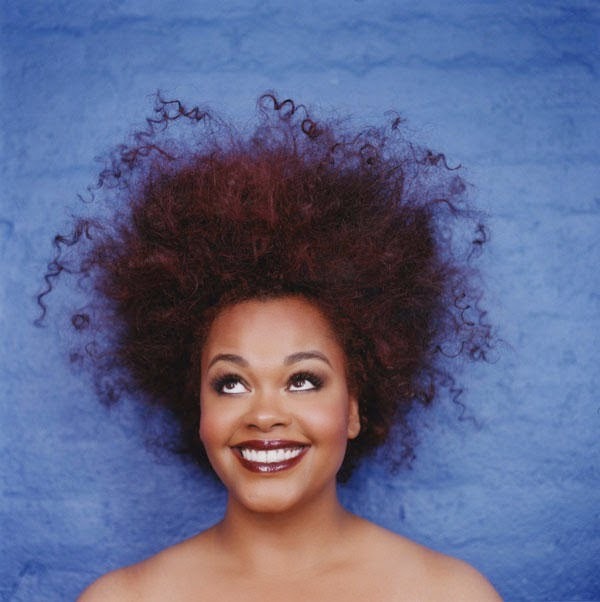 Felicia has a gift for pulling out the full beauty and diversity of natural hair. 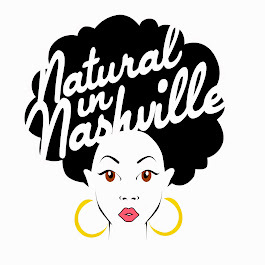 If you have been inspired by her styles, please share using #NaturalInNash. We would love to see how fabulous you look! If you're still searching for styling inspiration, Melissa has plenty for you at FabGlance. Go get some! Sending you all love and peace to make beautiful memories in the days to come! 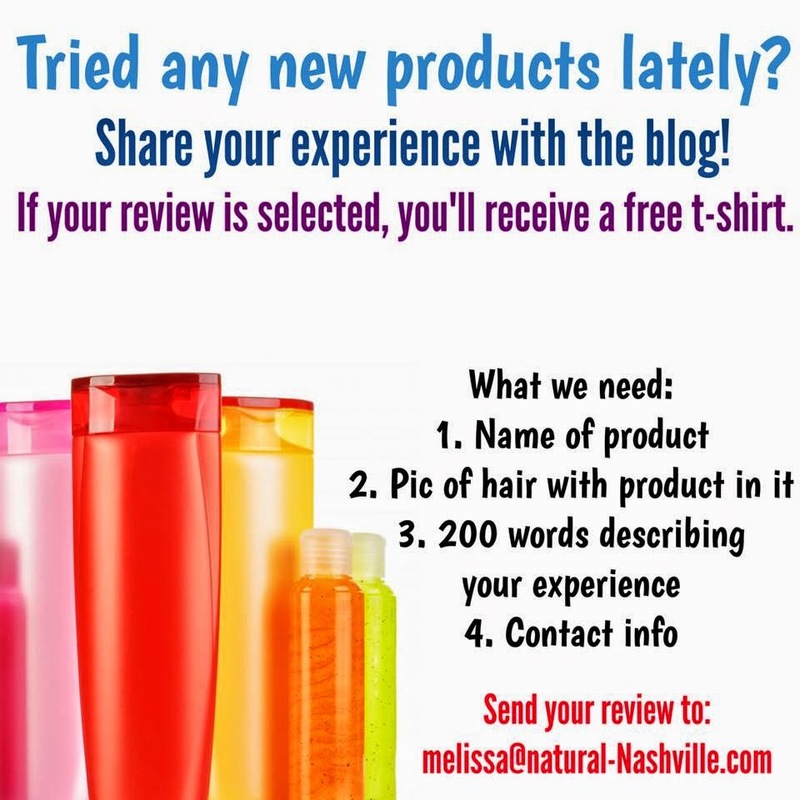 Follow Melissa W.'s board Natural in Nashville - Natural Hair Blog on Pinterest. All images on www.natural-nashville.com are readily available on the Internet and believed to be in public domain. Images posted are believed to be published according to the U.S. Copyright Fair Use Act (title 17, U.S. Code.). Copyright © 2012 Fab Glance Nashville LLC. All text herein is property of the author(s) and may not be copied or reproduced without explicit permission.